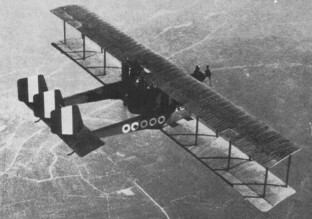 The Ca 5 series of First World War bombers were a progressive development of the earlier Ca 3 series and, like them, were biplanes. They were slightly larger overall, heavier, and somewhat faster, though their bomb load of 540 kg (1190 lb) remained modest. The initial version (Ca 44) was powered by three 200-hp Fiat engines, driving (as in the Ca 3) one pusher and two tractor propellers. Defensive armament was a single machine-gun in the nose and a second to the rear. Entering service with the Corpo Aeronautica Militare in early 1918, the initial model was followed by generally similar versions (Ca 45 and Ca 46) having Fiat, Isotta-Fraschini or Liberty engines. The Ca 5 continued to serve until the end of the First World War, though in diminishing numbers and for the most part on night operations, with many of the Gruppi that had operated the earlier Ca 3. A specialized night bomber variant was later given the post-war designation Ca 50. Italian production of the Ca 5 series reached 255, to which can be added a small number built in France by Esnault-Pelterie. 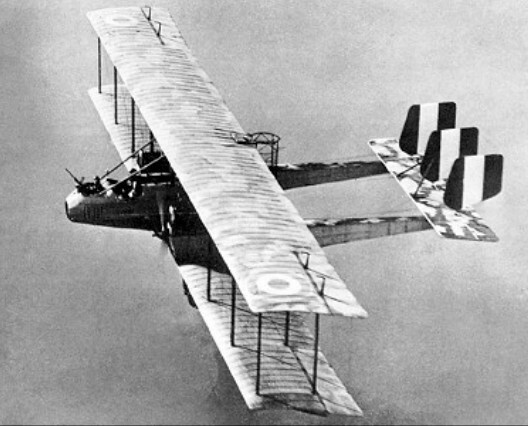 Two (Ca 46) bombers were delivered to the United States, where it was planned to build the type in quantity for the US Army Air Service, but only three had been completed (two by Standard Aircraft Corporation and one by Fisher Body Works) before the Armistice. The American Liberty engine, however, found its way into one other variant: a torpedo and bomber seaplane (Ca 47), with twin Zari floats, of which Piaggio in Italy delivered 10 after the Armistice.